Abresia Foote gets first Sponsorship of the Fall 2017 Season! 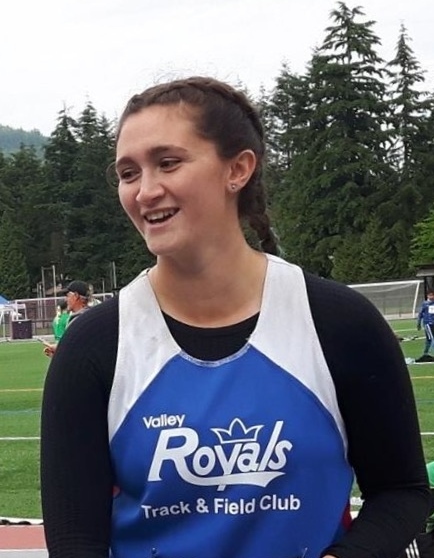 Congratulations to Valley Royals thrower and race-walker, Abresia Foote, on being the first athlete to get a Sponsor for the club’s Fall 2017 Cross Country Season! Abresia’s sponsor is “Call Brown Real Estate Team” which has purchased a $100 “Friend of the Club” Sponsorship. 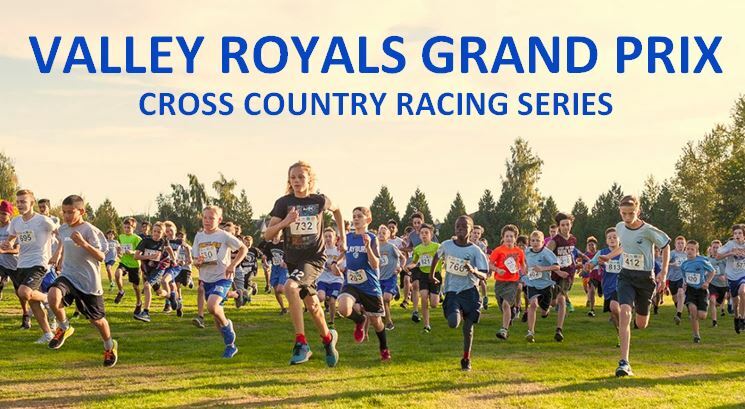 This will give their company name and logo exposure on our website and on the “Wall of Fame” which will be on display at all 4 Valley Royals Grand Prix Races in Sept/Oct & at the BC Cross Country Championships which our club will be hosting in Clearbrook Park on October 28th. 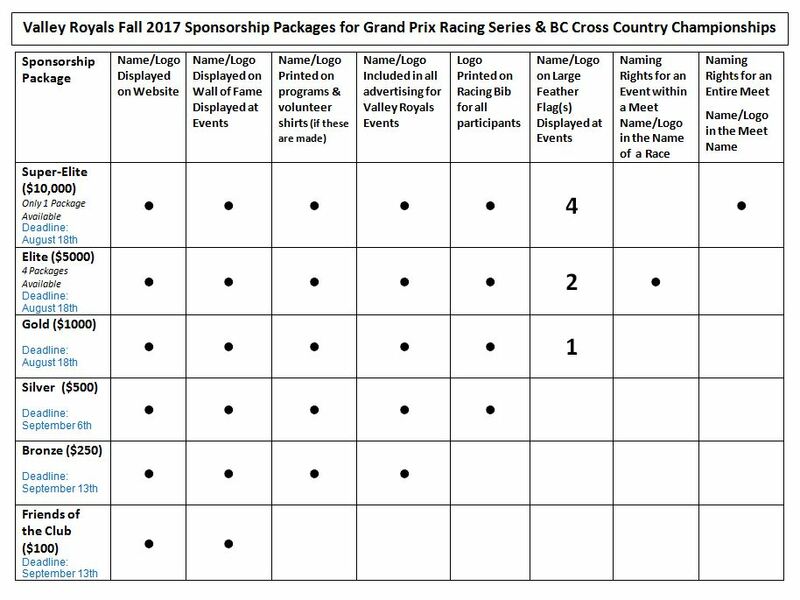 Check out our new CLUB SPONSORS section on the Valley Royals Website which contains Thank You Walls for all of our 2017 Sponsors, Sponsorship Packages, a downloadable PDF Sponsorship Letter 2017 Fall Sponsorship Letter & Sponsorship Packages for Valley Royals Track & Field Club with Chart to give to potential sponsors and a new handy Chart of the benefits of each package at a glance! 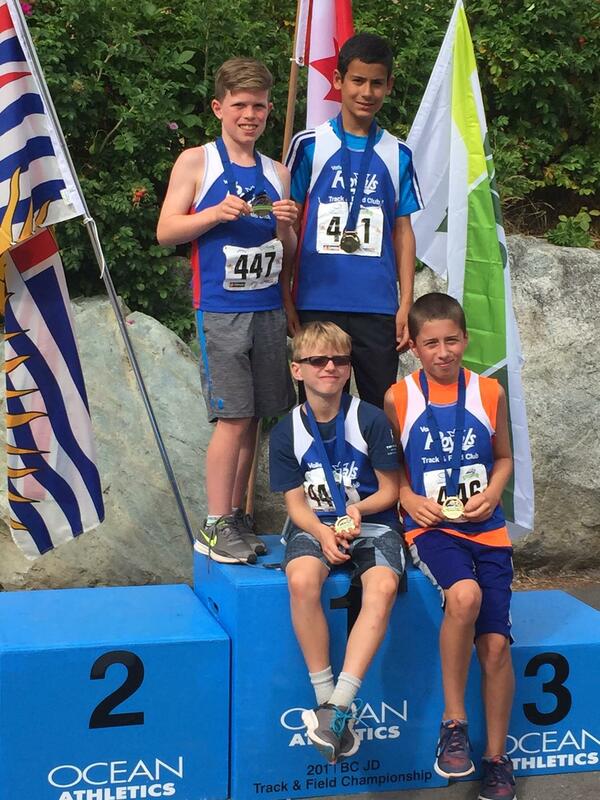 This past weekend in White Rock, the Valley Royals JD squad finished off a banner season at the Provincial Junior Development Championships for nine to thirteen year-olds. In all, the team stepped up to produce sixteen podium finishes, further adding another sixteen top eight performances. The Royals were led by the trio of rookies Mark Molina and Benjamin Wright (both age 11) and Luke Wight (age 10). Mark Molina took the silver in both the 60meter and 200 meter sprints, further adding a 4th in the 100. Benjamin Wright was the definition of consistency, producing bronze medal performances in the 60meter, 100 meter and 200 meter sprints, with a further bronze in the long jump. 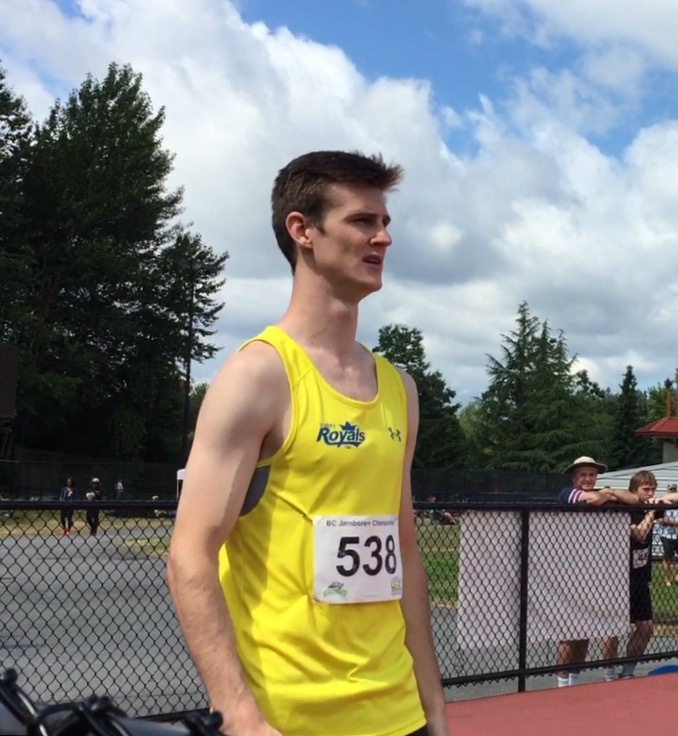 Iron man Luke Wight, competing in six individual events, took the bronze in the high jump and 1000 meter run, silver in the long jump, further adding fourth place finishes in the 100 meters and 600 meters and a sixth in javelin. The trio of Molina, Wright and Wight dominated the eleven-year old relays. Joined by veteran Arie Wassenaar in the 4 x 100 relay, the squad easily took the gold. The same trio were joined by rookie Aryan Sidhu to take another gold in the distance medley relay. Our top female performers were the Royal’s young nine year olds. 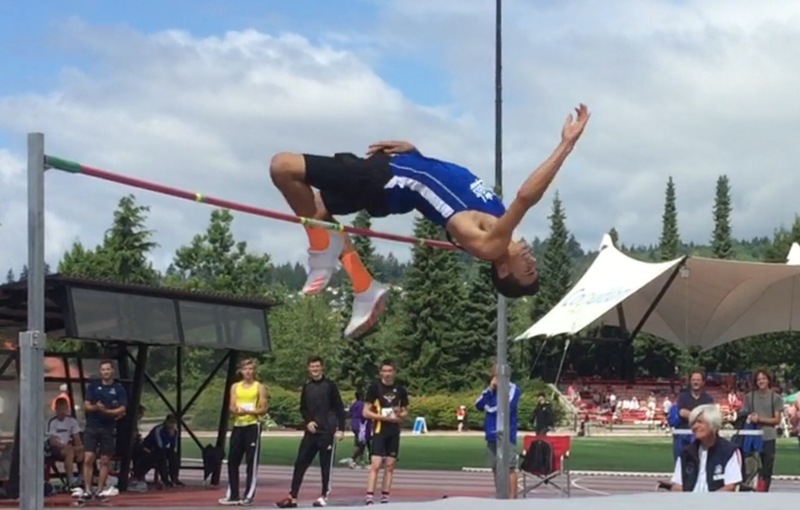 Emily Tinsley captured silver in high jump, Gurpartap Sandhu took bronze in the long jump, and Bhavneet Grewal placed fourth in long jump and fifth in high jump. Sandhu and Grewal joined eleven-year olds Sierra Greene and Sarah Thiel to take silver in the 4 x 100 relay. There were numerous other gutsy, clutch performances by the rest of the squad, too many to mention. Congratulations to Athletes Selected to the BC/Yukon Midget & Youth Teams! Congratulations to all of the athletes and their coaches on qualifying for the BC/Yukon Midget and Youth Teams to go to the Legion National Championships! 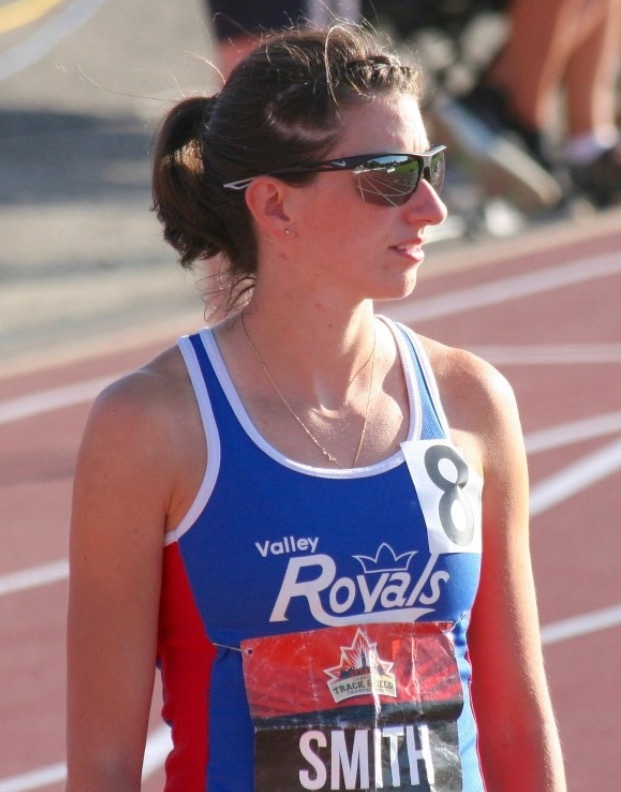 Your hard work and determination has paid off and we know you will represent the Valley Royals Track & Field club with pride in Brandon, Manitoba. 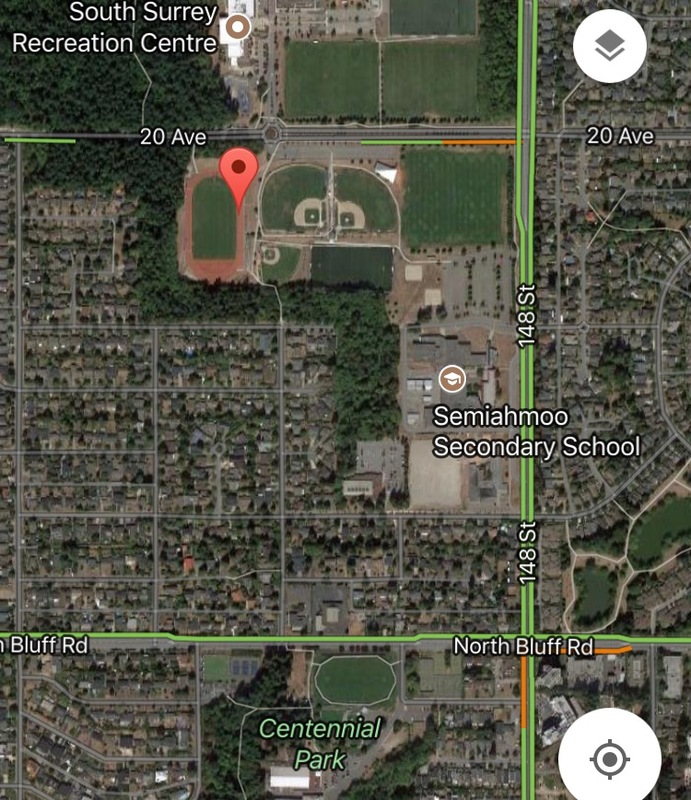 The Royal Canadian Legion National Youth Track & Field Championships will take place from August 11th to 13th. 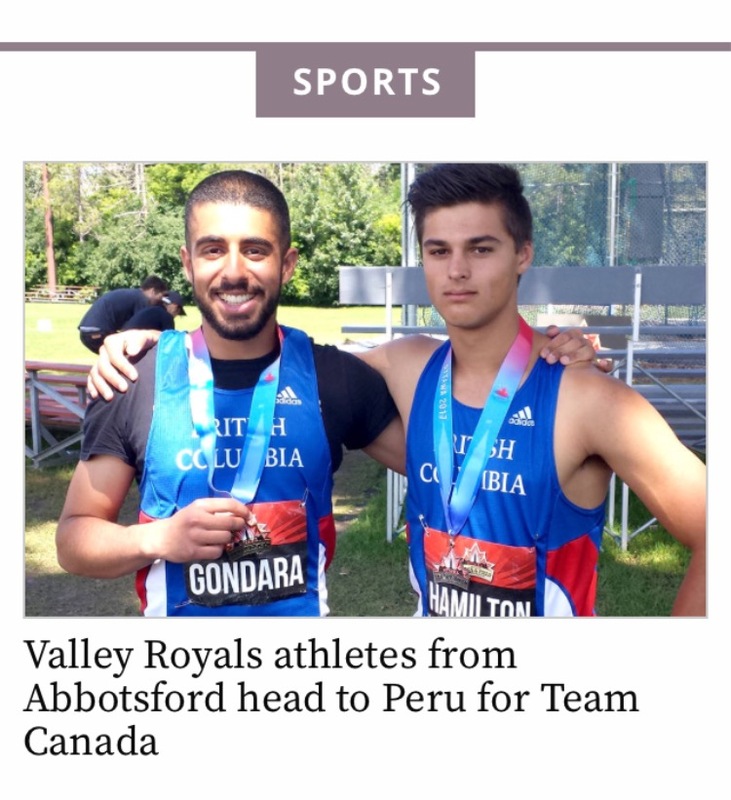 On Wednesday July 19th the Abbotsford News published an article about the amazing season that Valley Royals throwers Vikramjit Gondara and Rowan Hamilton are having. 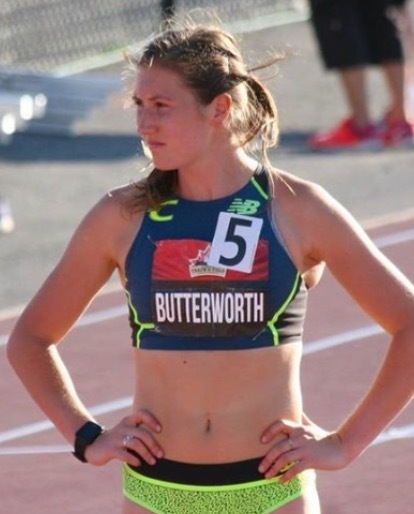 Both athletes are trained by Coach Harold Willers. 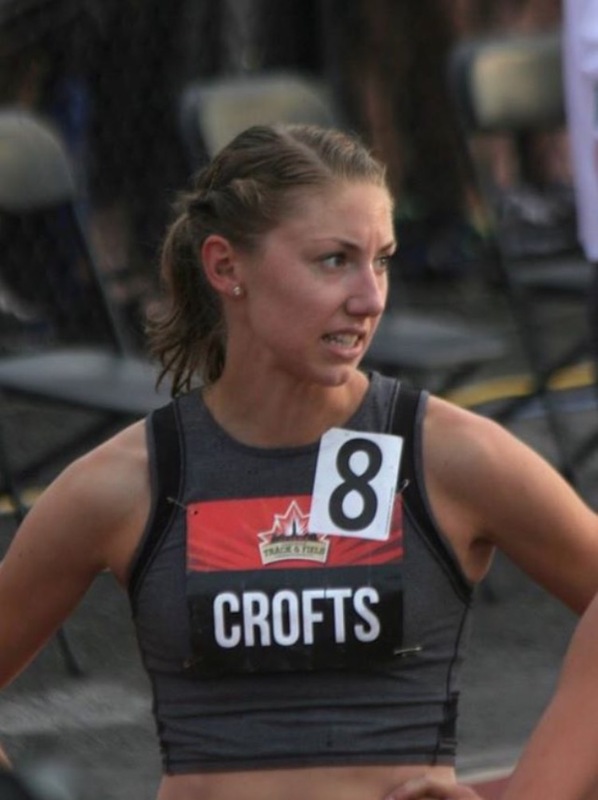 Congratulations to Valley Royals athlete Jessica Smith and former Valley Royals athletes Lindsay Butterworth and Helen Crofts on their excellent performances in the 800m race at the International Athletics Meet in Belgium this week! 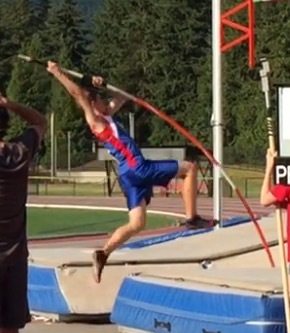 Congratulations to our Athletes who competed at the BC Athletics Championship Jamboree! Event and Race entries are due to Christa by email at [email protected] by Sunday July 16th at midnight. 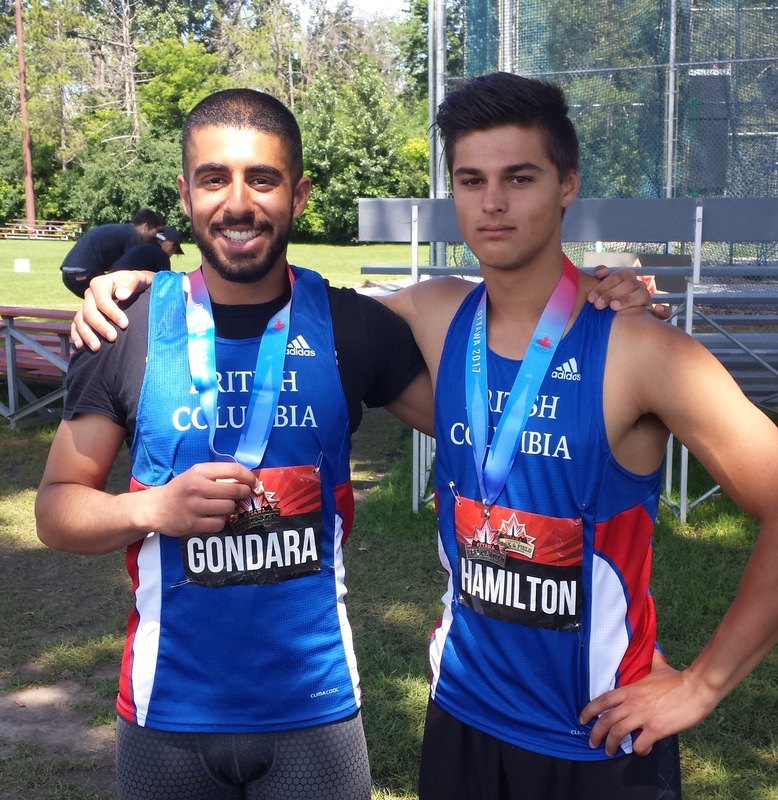 Vikramjit Gondara won gold and Rowan Hamilton won silver in U20 Hammer Throw at the Canadian Track & Field Championships in Ottawa (July 3-9). Both Gondara and Hamilton achieved identical top throws of 62.37m with their second best throws determining who won. 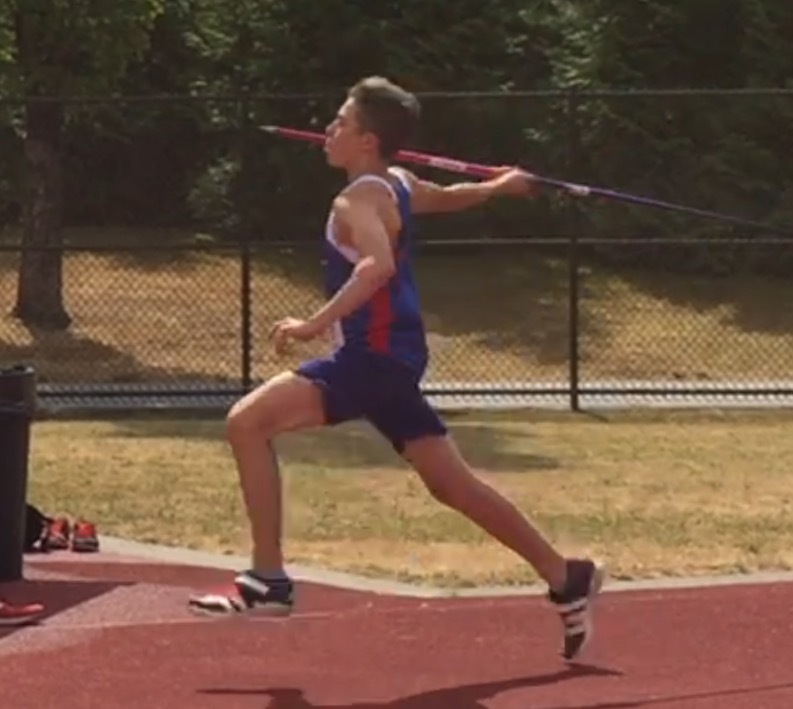 This achievement is particularly amazing for Hamilton, a U18 athlete who stepped up to U20 for this event, and is the Canadian record holder for U18 Hammer. Both throwers are trained by Coach Harold Willers and have had an impressive season this year placing together in the top positions for Hammer Throw and Discus in meet after meet. 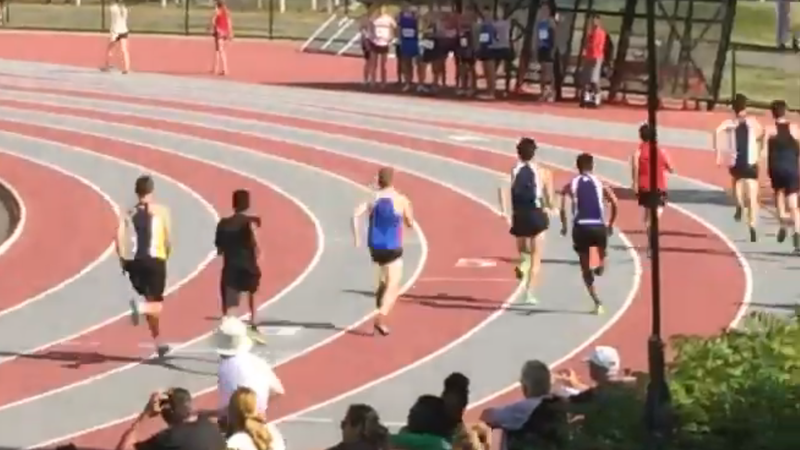 Congratulations to Vik, Rowan and Jayden on their performance at Nationals this past weekend! Photo: Rowan Hamilton, Vikramjit Gondara and Jayden Driver. 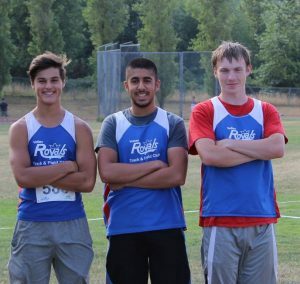 All three athletes are trained by Valley Royals Coach Harold Willers.